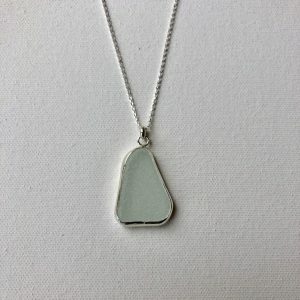 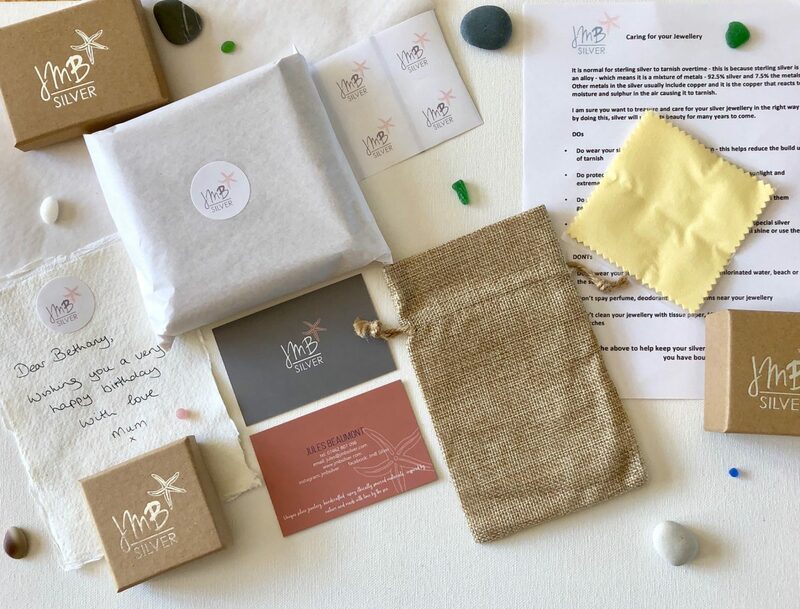 This lovely piece of white sea glass was found on a beach on the island of Sark. 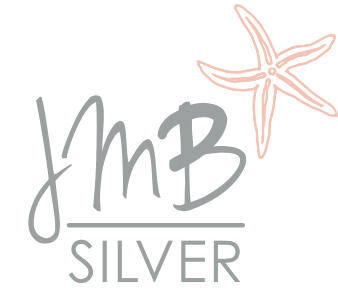 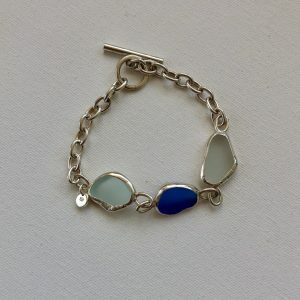 The glass, shaped only by the waves, has been set in recycled sterling silver. 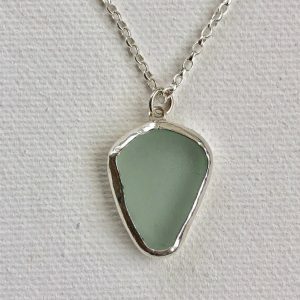 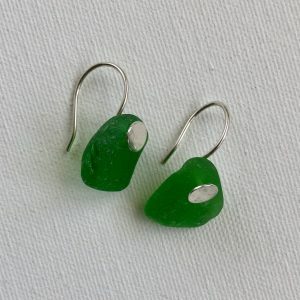 The sea glass is held securely, the silver wire twisting and bending to keep it secure and show off its unique beauty. The pendant weighs approximately 16.1g, is 35mm long and 28mm across at its widest point. 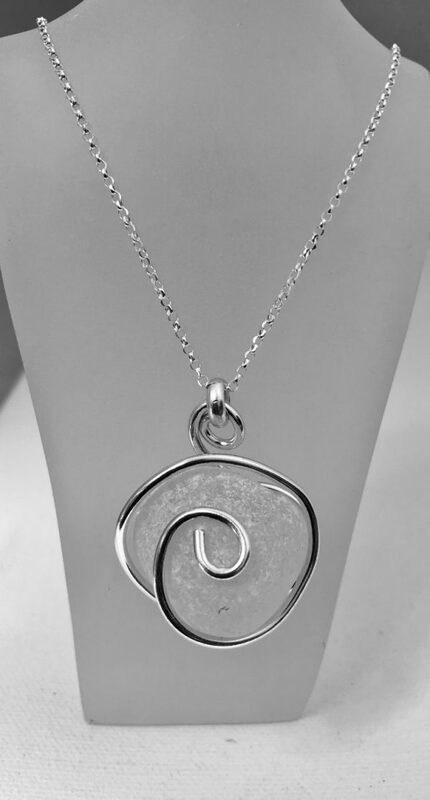 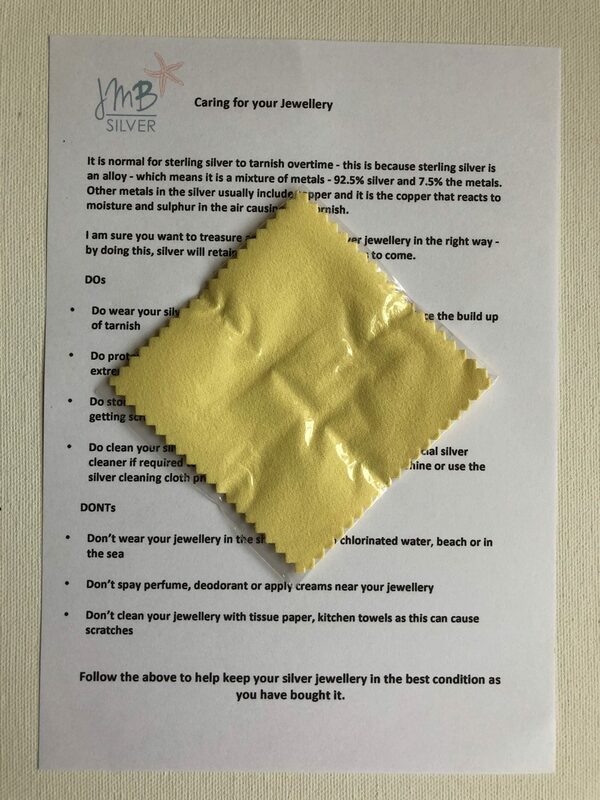 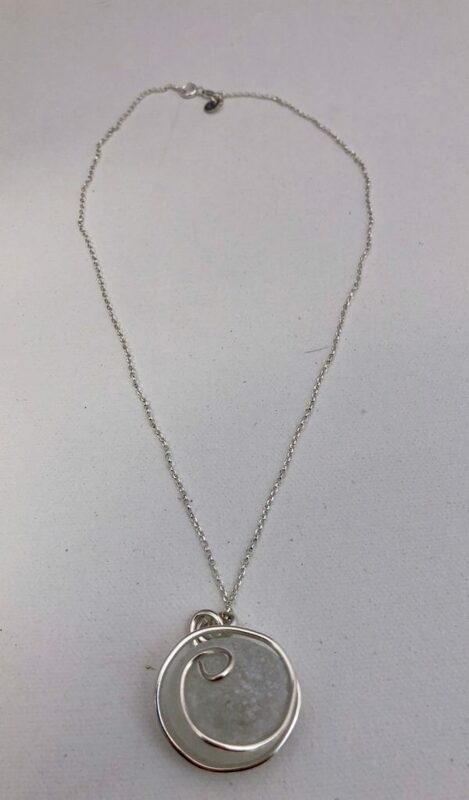 It comes with an 18″ sterling silver chain. 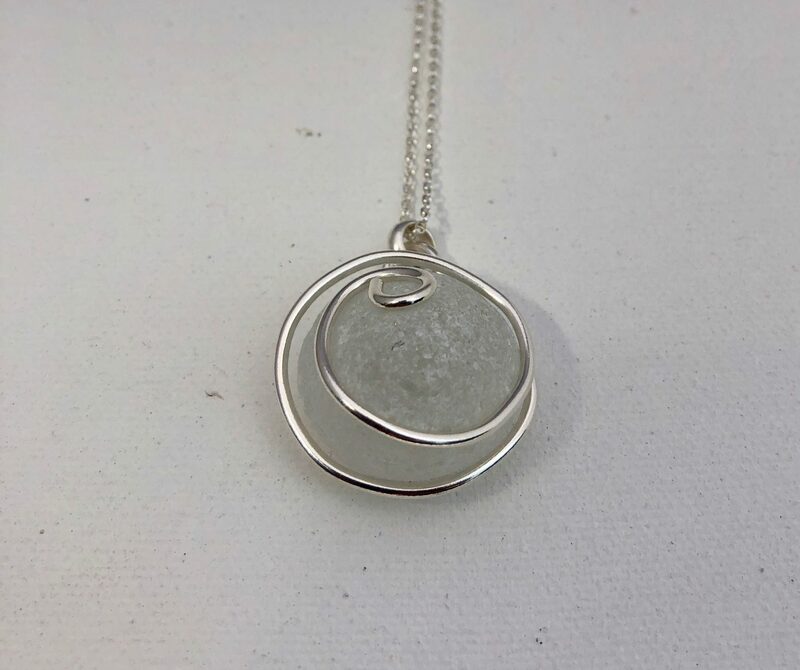 The pendant is handcrafted and so each one is always slightly different and if out of stock, will be made to order taking 1 to 2 weeks.